My Online Sales Pro Review, Is It Legit Or Scam? First off, I want to personally thank you for visiting my site. I always enjoy the company and love it when my words resonate with others, whether it be positive or negative. This is my personal view that I provide so you can make up your own opinion. If there is anything that you want to add, feel free to add them in the comments below 🙂 So without further ado, here is my review on OSP. I want to mention right off the bat, if you follow the link above, I will not get any credit. I’m providing this review free of charge. OSP refuses to provide their affiliate program for free, so in other words, I must buy into this product before I can sell it. If you guys have similar budgets like I have, I simply can not buy into every product that I review. Most of the affiliate programs out there provide a free service, like Amazon or Target. I’m a little concerned that this program does not provide that, I just wanted to state that before moving on. Online SalesPro is owned and operated by Leadline, LLC. That company has been in business since September 2013 and is based in Tucson, AZ. Leadline is a “Direct Sales Software Company” while OSP is considered a “Lead Generation” Company. They have, out of their own genius, produced this product that solves all your Online Marketing problems, all for a monthly price of 37/month. It sounds to0 good to be true. Somethings you need to be careful about are designs that someone’s made for you, if you have a design that everyone has, google will take that as spam. You can build your own design when you build your own website. It is for those people who do not want to learn about Online Marketing because if you do, you’ll find out that most of their product is to promote themselves. They do not believe in free traffic, in fact, they insist that it’s not possible. So they convince you that you need to buy their product to get traffic. For one, you don’t buy traffic, you produce quality content that helps people. By making use of keywords that people type in within your content, that’s where traffic comes from. Most of their training is on the use of their product, not a whole lot about Online Marketing itself. There are better tools out there to help you with your Online Marketing efforts, some of them are actually free. The price of this OSP is 37/month with upsells up to 97/month, then they tell you that you need to upgrade to their yearly plan of 997/year. It makes sense for them because then they don’t have to convince you ever month that their product is good. I can not, in my own conscience, recommend this product. It feels too much like a pyramid scheme, where you have to buy to make money, then convinces others that they have to buy. The cycles continue until the company is no more, then you’re left with no money because all your hopes were in OSP. I believe learning about Online Marketing is your best bet and you can learn from my site of which I offer for free. 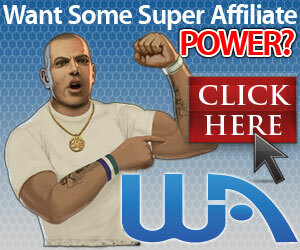 Wealthy Affiliate is another Community that I recommend, where you can build a website for free. Thanks for visiting, check out my social sites Google+, twitter, and facebook. If you have questions or concerns, feel free to leave them below. Who would pay $97 a month just to earn how to start their “business”? Its too high and that’s one red flag already when spotting a scam. Vincent Ortega is famous for stealing money from beginners through his high ticket program and retention rate is close to zero on all of his programs because when people join, they’re not making a single cent back and I’m glad you exposed MOSP for what they are. Keep doing writing those reviews man, hope you can help a lot of people avoid making this pitfall. I don’t know you, you don’t know me. Thank you so much for your insight regarding OSP. Some people are dumb about trying to escape the chains that bind them to a regular brick and morter job. That’s me. I’m a complete (almost) newbie. people like traffic monsoon have taken advantage of me. I normally lose most or all of my investment. so In closing, I just wanna say……thank you. Making mistakes is all apart of building a business. Sometimes you have to find out what doesn’t work before you find out what works. Your on a good path, lose heart. Building a business Online is all about patience, persistence and a passion to win.